The behavior of fans at the Ryder Cup has been criticized after play Saturday. It's no secret the 2016 Ryder Cup has become testy. 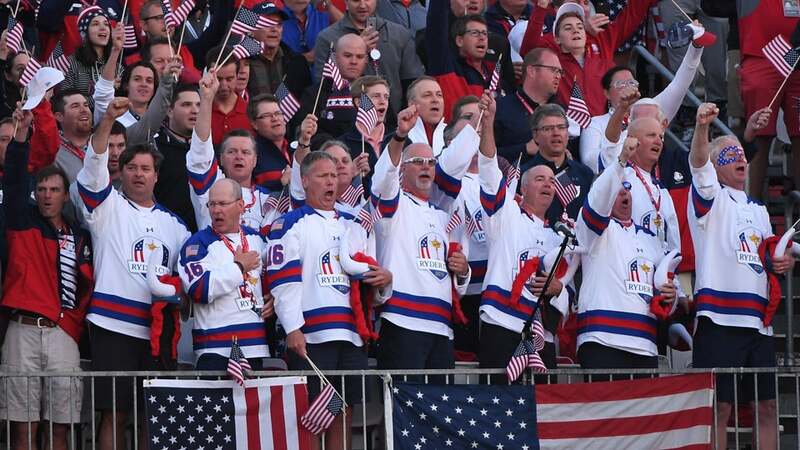 Fans at Hazeltine have cheered and jeered against European players throughout much of the event. It has again stirred the debate over what is crossing the line, espeically at a Ryder Cup, known for its rowdy fans regardless of its location. The most public complaints came from Ian Poulter and Sergio Garcia shortly after the afternoon session finished Friday. Poulter, an assistant captain on the European team, took to Twitter to claim that U.S. players were "embarrassed" of the American fans' behavior, calling the collective behavior a "shame." As for Garcia, he was less than pleased as well. "They have been quite poor. I'm not going to lie," Garcia said. "Obviously it's unfortunate because I think that 85 percent of the people are great and I love playing in America. My girlfriend is American. But that 15 percent that is really bad, it makes them look bad." The U.S. leads 9 1/2 to 6 1/2 entering Sunday.